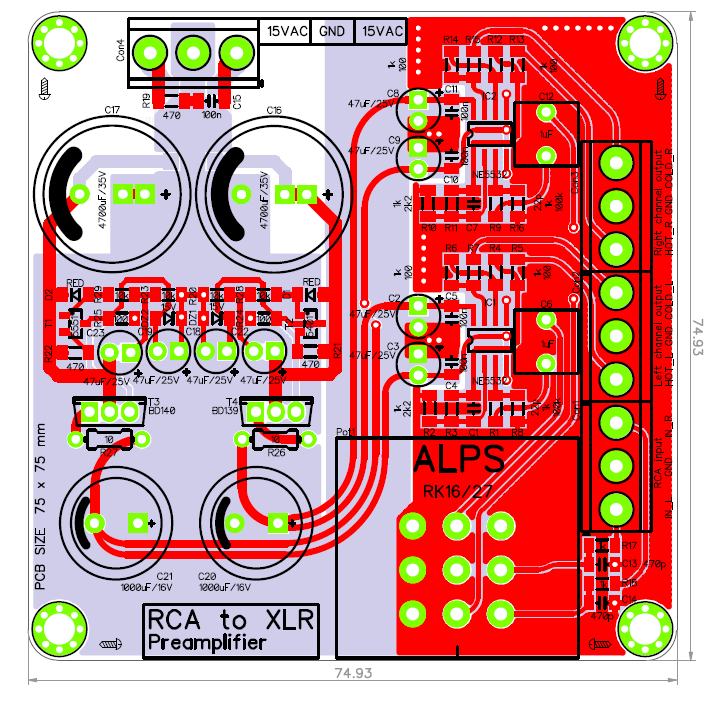 Bridged or XLR amplifier requires two input signals, HOT (in phase) and COLD (180deg inverted) but most of the CD players, DACs, receivers have only RCA outputs, so I decided to prepare simple preamplifier which provides both signals for bridged or fully differential amplifiers. First stage of the preamp have voltage gain of approx 3,2x and second stage is a simple unity gain inverter. 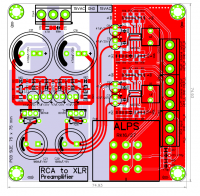 As the series and feedback resistors in inverter circuit have quite low resistance 1kR , chosen OPamps should have be able to drive as low as 600R loads and must be unity gain stable.